"We want to be involved in these emerging technologies, which are improving and becoming more cost-effective," said Manitoba Hydro President and CEO Jay Grewal at a Manitoba Hydro news release on April 22, 2016. At this release, the company announced their plan to advance Manitoba’s green energy industry in the form of a Solar Photovoltaic Initiative. This Initiative is meant to aid the Manitobans who are interested in installing solar PV panels to subsidize their existing hydro bill, but unable to afford the relatively expensive solar PV system. By covering a percentage of the cost of the PV panels that make up a system, Manitoba Hydro has made investing in solar energy easier and more cost effective than ever before. 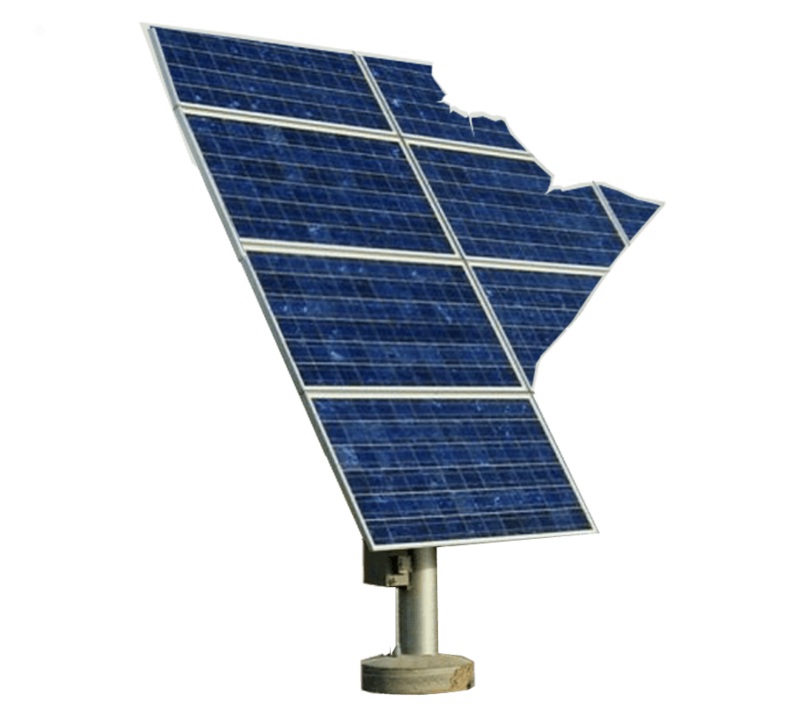 This new initiative is available to any Manitoba Hydro customer interested in Installing Solar PV in Manitoba to subsidize their pre-existing Hydro bill, whether they be residential, cottage, or commercial owners. As long as the application connects to Manitoba Hydro’s grid, and the initiative is applied for before the solar install has begun, this program is available to you. Manitoba Hydro promises to pay $1 per watt of solar PV panels installed (based on the calculated DC watt rating of the panels). The minimum system size required to participate in this initiative is 1 kilowatt, and the maximum is 200 kilowatts. Manitoba Hydro says they will pay the $1 per watt after the installation has been completed and inspected. As a further incentive to potential green energy users, Manitoba Hydro includes solar PV in their Residential Earth Power Loan program. This program is intended to make it even easier for Manitoba Hydro customers to incorporate solar PV in their home residence (but is unavailable in commercial and seasonal cottage applications). Through this loan program, Manitoba Hydro allows home owners the ability to finance the cost of their solar PV system up to $30,000 at a fixed interest rate of 4.9%. The maximum term length Manitoba Hydro allows is 15 years. They do not require a down payment, and monthly payments are added to your pre-existing hydro bill. Eligible participants in this program must be the owner of the residential home in which solar will be applied, and have a good standing account with Manitoba Hydro. Home owners interested in incorporating solar PV for their residence are eligible for both the Solar PV initiative and the Residential Earth Power Loan program. In this case, the $1 per watt discount from the initiative would be taken off the loan amount. Call 123 Zero Energy at 1 (800) 317-9054 if you are interested in applying for any of these programs, or if you would like to receive a solar PV quote, calculate your projected savings with solar PV, or have any other information regarding solar PV and Manitoba Hydro’s PV initiative programs.